I’ve always found any potting soil bought at the store seemed to be a rip off. Well, it is. With a little bit of work, you can have a better mixture at half the cost. This recipe will yield you about 8 cubic feet of potting soil for $30. 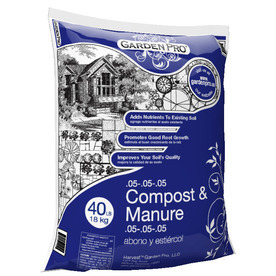 The same quantity of Miracle-Gro potting soil will cost double without any of the added benefits. Mix this together, half at a time in a wheelbarrow. It will overflow a bit so use a bucket to portion it off to help in the mixing process. While mixing, add in your choice of organic fertilizer. My preference is Espoma Garden Tone. 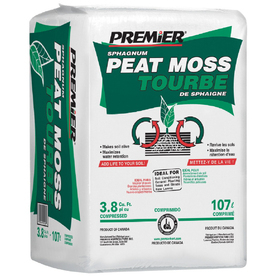 And add a little lime if your concerned about acidity as peat moss will cause this mixture to lean in that direction. The added benefits I mentioned are the compost and vermiculite. While the benefits of compost are rather known, the use of vermiculite is not so common. 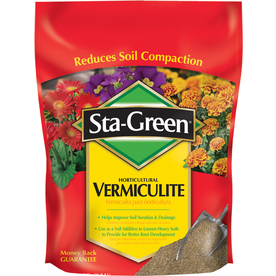 Using vermiculite is the equivalent of using Miracle-Gro moisture control potting soil, but without needing to use a wetting agent. 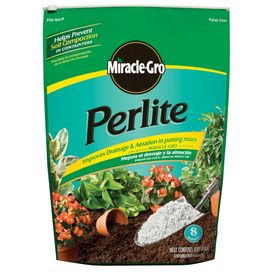 Similar to how perlite holds air to prevent compaction, vermiculite will also absorb water to moderate wetness as well as retain nutrients. The air, water, and nutrients will then be released as they are demanded by the plant. Pre-mixed potting soil is good in a pinch, but with a little time you can save some cash and come out with a better product.